In a recent editorial, we stated our desire “to support creative new initiatives within and beyond the conventional spaces of the academy, allowing us to work, in a collective spirit, through new solidarities, more – we hope much more – toward egalitarian changes and institutional interventions that will further Antipode’s longstanding commitment to the development of a better, more just society: a society that opposes an organisation of production which sustains and reproduces inequality and injustice, that opposes a global order oriented to profits rather than human needs”. Some of these initiatives, we hope, will be funded by Scholar-Activist Project Awards. The Awards are intended to support collaborations between academics, non-academics and activists (from NGOs, think tanks, social movements, or community grassroots organisations, among other places) which further radical analyses of geographical issues and engender the development of a new and better society. They are aimed at promoting programmes of action-research, participation and engagement, cooperation and co-enquiry, and more publicly-focused forms of geographical investigation. We want to fund work that leads to the exchange of ideas across and beyond the borders of the academy, and builds meaningful relationships and productive partnerships. Projects could take many forms including, but not limited to: collaborative research with artistic, community, cultural, grassroots, or social movement groups; the production of educational materials and other innovative pedagogical initiatives; and the promotion of links between universities and institutions/organisations outside the academy. We envisage projects being eclectic in nature and focus – they might involve small or large groups of people, and they may have a focus on a range of scales from the local right up to the global, for example – but they will be designed to foster new thinking or doing, and different mixtures of the two. We encourage initiatives that are adventurous, that explore and go beyond the boundaries of established academic practice. We’d like to see work which is innovative and original, but more than that, we want to fund work which is significant: we want to support activities that have implications for praxis, to better understand contemporary political concerns and develop alternatives. The Antipode Foundation expects to allocate each project up to £10,000 (or its equivalent in the awardee’s currency of choice) but the amounts of its grants will vary according to the proposed project. The distribution of funds will be as equitable as possible, with other prospective resources and the nature of the proposed project being taken into consideration. 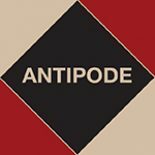 The Antipode Foundation will explicitly privilege applicants and initiatives from historically under-represented groups, regions, countries and institutions in its decision making processes. Anyone can apply for an Antipode Foundation Scholar-Activist Project Award (including academics and students, and activists of all kinds), but the award needs to be held and administered by a host institution (these could be research, higher education or community-based institutions). Projects must take place within the year of award; in this case between 1 September 2012 and 31 August 2013. Those who have already received funding for a previous project are not eligible to apply for another. Regionally-based events (such as conferences, workshops, seminar series, summer schools and action research meetings) are not covered by this award; they are funded by the separate Antipode Foundation Regional Workshop Awards. Application forms are available here or from the Editorial Office Manager, Andrew Kent, and should be returned to him by 30 June 2012. Successful awardees should provide a short (one page) report one calendar year after receipt of the award. This should be sent to Andrew Kent and will be posted on AntipodeFoundation.org in the interests of transparency and to encourage further applications. We also welcome more detailed reports, including photos, recordings, etc. for the website. Please note that successful applicants will be able to apply for additional funding to develop a short film of the project that will be posted online – details will follow the announcement of the awards. This entry was posted on 25 April 2012 by Antipode Editorial Office in Other and tagged Antipode Foundation, Antipode Foundation Regional Workshop Awards, Antipode Foundation Scholar-Activist Project Awards, Regional Workshop Awards, Scholar-Activist Project Awards.